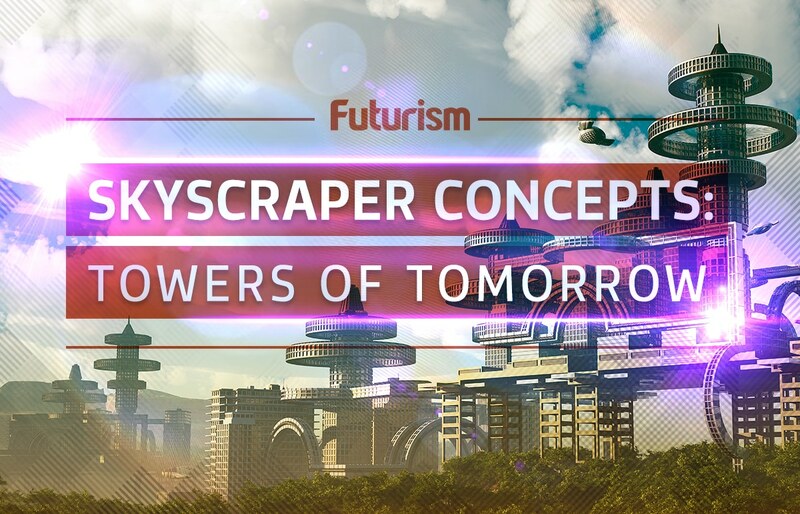 You can help shape the urban landscape of tomorrow right now. By 2030, 60 percent of the world’s population is expected to live in mega-cities. How all those people live, and what their lives are like, will depend on important choices leaders make today and in the coming years. Technology has the power to help people live in communities that are more responsive to their needs and that can actually improve their lives. For example, Beijing, notorious for air pollution, is testing a 23-foot-tall air purifier that vacuums up smog, filters the bad particles and releases clear air. This isn’t a vision of life like on “The Jetsons.” It’s real urban communities responding in real-time to changing weather, times of day and citizen needs. These efforts can span entire communities. They can vary from monitoring traffic to keep cars moving efficiently or measuring air quality to warn residents (or turn on massive air purifiers) when pollution levels climb. Using data and electronic sensors in this way is often referred to as building “smart cities,” which are the subject of a major global push to improve how cities function. In part a response to incoherent infrastructure design and urban planning of the past, smart cities promise real-time monitoring, analysis and improvement of city decision-making. The results, proponents say, will improve efficiency, environmental sustainability and citizen engagement. Smart city projects are big investments that are supposed to drive social transformation. Decisions made early in the process determine what exactly will change. But most research and planning regarding smart cities is driven by the technology, rather than the needs of the citizens. Little attention is given to the social, policy and organizational changes that will be required to ensure smart cities are not just technologically savvy but intelligently adaptive to their residents’ needs. Design will make the difference between smart city projects offering great promise or actually reinforcing or even widening the existing gaps in unequal ways their cities serve residents. A key feature of smart cities is that they create efficiency. Well-designed technology tools can benefit government agencies, the environment and residents. Smart cities can improve the efficiency of city services by eliminating redundancies, finding ways to save money and streamlining workers’ responsibilities. The results can provide higher-quality services at lower cost. For instance, in 2014, the Transport for London transit agency deployed system that lets residents and London’s 19 million visitors pay for bus and subway fares more quickly and safely than in the past. When riders touch or tap their phone or other mobile device on a reader when entering and exiting the bus and subway system, a wireless transaction deducts the appropriate amount from a user’s bank account. The city benefits by reducing the cost of administering its fare payment system, including avoiding issuing and distributing special smartcards for use at fareboxes. Transit users benefit from the efficiency through convenience, quick service and capped fares that calculate the best value for their contactless travel in a day or across a seven-day period. Another way to save money involves real-time monitoring of energy use, which can also identify opportunities for environmental improvement. The city of Chicago has begun implementing an “Array of Things” initiative by installing boxes on municipal light poles with sensors and cameras that can capture air quality, sound levels, temperature, water levels on streets and gutters, and traffic. The data collected are expected to serve as a sort of “fitness tracker for the city,” by identifying ways to save energy, to address urban flooding and improve living conditions. Perhaps the largest potential benefit from smart cities will come from enhancing residents’ quality of life. The opportunities cover a broad range of issues, including housing and transportation, happiness and optimism, educational services, environmental conditions and community relationships. Efforts along this line can include tracking and mapping residents’ health, using data to fight neighborhood blight, identifying instances of discrimination and deploying autonomous vehicles to increase residents’ safety and mobility. Many of the efficiencies touted as resulting from smart city efforts relate to government functions. The benefits, therefore, are most immediate for government agencies and employees. The assumption, of course, is that what benefits government will in turn benefit the public. However, focus on direct improvements for the public can become an afterthought. It can also be subverted for other reasons. For instance, global market projections for smart cities are huge. Companies see big opportunities for selling technology to cities, and local leaders are eager to find new investors who will improve their communities. That can make smart cities appear to be a win-win situation. City leaders may also use smart city discussions as a vague “self-congratulatory” method to emphasize their forward thinking, and to reinforce a broadly positive – if undefined – view of the city. By talking about greater connectivity and improved technical capabilities, city leaders can market the city to future residents and businesses alike. But if leaders focus on smart city projects as helping government, that won’t necessarily improve residents’ lives. In fact, it can reinforce existing problems, or even make them worse. Who Wins From Smart City Projects? When governments decide on smart city projects, they necessarily choose whom those efforts will benefit – and whom they will neglect. Even when it’s unintentional – which it often is – the results are the same: Not all areas of a smart city will be exactly equally “smart.” Some neighborhoods will have a greater density of air-quality sensors or traffic cameras, for example. And not all smart city projects are having completely positive effects. In India, for example, Prime Minister Narendra Modi pledged to build 100 smart cities as a way to manage the needs of his country’s rapidly urbanizing population. Yet the efforts are bumping up against challenges new and old. These include longstanding problems with land ownership documentation, developing policies to accommodate new markets and limit the old, and conflicts with vulnerable populations pushed out to make room for new smart city initiatives. In Philadelphia, a program intended to provide the city’s low-income, underemployed residents with job training on their smartphones didn’t address widespread socioeconomic inequality, among other problems. As one researcher put it, the program was “empty policy rhetoric” designed to attract business. 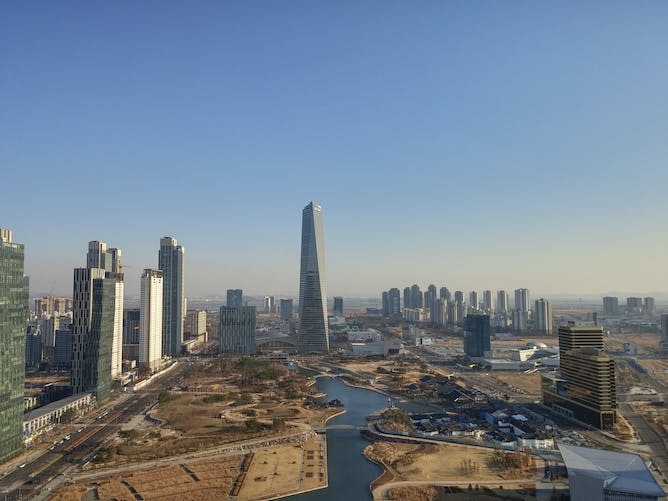 The much-ballyhooed Songdo City development in South Korea involved enormous investment from the public and private sectors to create a smart city billed as an urban hub of innovation and commerce. And yet, 10 years after it began, its highest praise has been from those who call it a “work in progress.” Others, less charitable, have called it an outright failure. 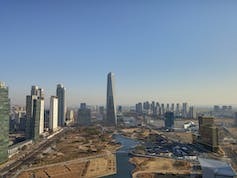 The reason should give us pause when designing other smart cities: Songdo was designed and built as a top-down, “high-tech utopia” with no history and, crucially, without people at its center. To avoid these troubled fates, officials, business leaders and residents alike must keep a critical eye on smart city efforts in their communities. Projects must be both transparent and aimed at publicly desirable improvements in society. Technology cannot become the focal point, nor the end goal. Smart city innovation, like all urban development and redevelopment, is a very political process. Residents must hold city leaders accountable for their efforts and their implications – which must be to improve everyone’s lives, not just ease government functions.